What is the most secure email provider? Many people ask this question. Today, in 2019, using a protected email service is a matter of security and privacy. 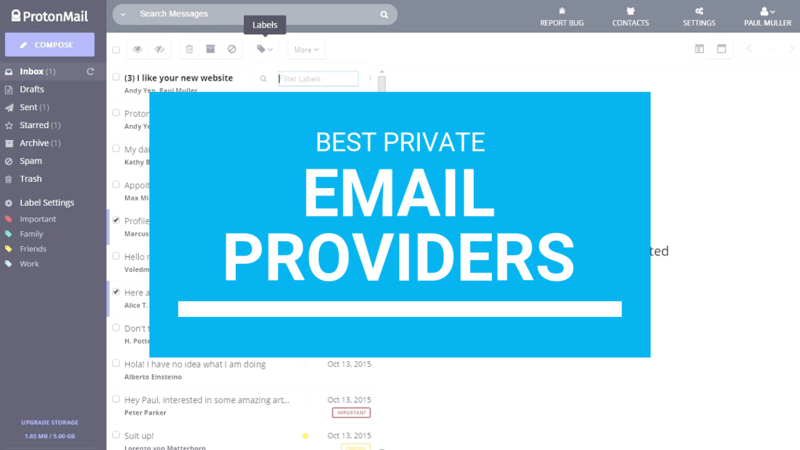 In this article, we will review the 12 most secure private email providers. Which email provider is actually reliable? It’s true that email services such as Gmail, Outlook or Yahoo are easy to use. But do they protect our privacy? Yahoo developed a special software for the National Security Agency so that they could secretly check their users’ emails. During the trial, Google admitted to reading their users’ emails. And when it comes to Microsoft, it is even worse. They were so generous that they helped the NSA monitor the users of Hotmail, Skype and Outlook services within the PRISM project. Mail protection from hacking and interception by third parties. Refusal of developers to cooperate with governments and other agencies. All services considered in this overview meet all of the above requirements. Or at least they say they do. Let’s take a look at the most reliable email services that provide mail encryption without sharing the user data with the authorities or other services. This is a quite popular anonymous email service that is still being developed at the moment. The key point of the service is the user’s privacy. The platform developers ensure the users that all the messages are encrypted so reliably that no one, not even the developers, can read them. The security protocol uses very reliable encoding. In addition, it encrypts the email metadata. It will really help to avoid data leaks if the database is compromised. With this solution, hackers will not be able to know who takes part in the conversation. Several years ago, the service was free. Now, you can only sign up for a 7-day trial period and after that, you will have to pay for using the service. All the servers are located in the USA. However, the company plans to expand them to other countries with high privacy protection. Apart from the regular website, you will be able to access the service via the TOR protocol. Key exchange via the PGP standard. The password is encrypted in ANSI. The system does not store your password but allows you to reset it. HTTPS connection with a signed certificate. SCRYPTmail servers are located in the USA. You are able to access it from any email system. Still in the development stage. Only web version without mobile applications. This is another great encrypted email service. While a lot of services out there are not working properly, Disroot is stable and gains popularity year after year. This is an independent and reliable provider of a secure and an absolutely protected email service. It does not track your emails, does not contain ads, and does not store any personal data about you. It will not even ask any questions not strictly related to the email service. It works via the web application that is very easy to use and has an attractive interface. To protect your emails, it uses a highly reliable unbroken PGP encryption. Additionally, it provides cloud storage and a cloud text editor through their partners. The latest PGP encryption protocol. We could not find the information about the location of the servers. Basically, the service is free to use but each subscriber is encouraged to donate. The developers are open to receive any amount of money. The attractive interface of the web application. The service is provided by one of the most well-known VPN providers. Of course, it offers protection of the highest level. Your emails are protected by server-side PGP protection. All the hardware is located in Ukraine. No personal information is stored after you delete it, meaning that you will not be able to restore the email account when you decide to unsubscribe from it. The same applies to the inbox and sent messages. There is no trash bin, so all the messages are deleted forever. TopGuard promises to not keep any logs about the email usage. They also do not share your information with the government or third-party agencies. The only situation when they would share your data would be if they received a court order. The service is provided along with a VPN. The content is deleted immediately and forever. All the server facilities are located in Ukraine. $6.95 monthly, $15.95 quarterly or $49.95 annually. VPN service along with email. This top rated email provider uses advanced encryption protocols and technologies to protect your email. As a result, no one will be able to read your messages. One of the best features of the platform is that you are able to send encrypted and secure messages to users of any other platforms including Yahoo, Gmail or Outlook. 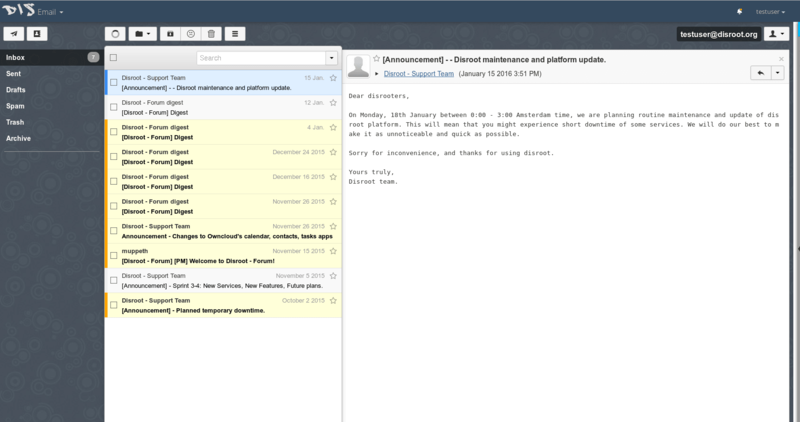 The web version has a user-friendly and unique interface to send and receive encrypted emails. You will be able to create an email address in a few simple steps. There are several domains available including @hush.com, @hushmail.me, @hush.ai. Remote access via IMAP and POP protocols. Desktop client and mobile apps for iOS and Android. Import contacts to the address book via a CSV file. 10GB of email cloud storage. A variety of different email settings. Max file size to send: 20MB per file, total 50MB per mail. Mailbox storage: 10GB in the premium plan. The servers are located in Canada. Free 14-day trial, after that the premium subscription of $49.98 per year applies. Simple and very easy to use. Does not require any additional software. No crypto key management needed. This is the reason why the service is perfect for traveling users. The system does not enforce the use of a strong password. The platform is not available on Mac OS. Works only on the newest browsers with the latest updates. While not the most popular, Runbox is a very reliable secure email service provider. It uses an encrypted connection to send the messages via its servers meaning that no one will be able to access and read your email. You will also be protected against data leaks and theft. The servers are located in Norway where they are protected by the local privacy laws. For extra anonymity, you will be able to use bitcoin for payment. To protect your data, the service uses two-factor authentication. In addition, the service does not keep any external tracking cookies, making it practically impossible to hack into your email account. Ability to create email nicknames to use several email addresses with just one account. Powerful and reliable in managing a large volume of data. Professional email management which includes filtering, customized sorting, forwarding etc. Universal access via Web, IMAP, WAP etc. Max attached file limit: 100MB. The servers are located in Norway. From $7.95 to $79.95 annually. 30-day free trial and 60-day money-back guarantee. Created in 2013, the service offers a great secure OpenPGP-based platform with end-to-end encryption. 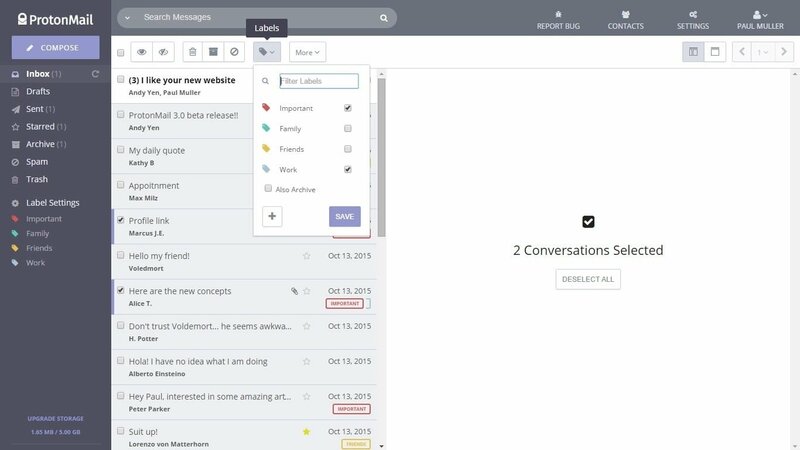 Unlike many competitors, Mailfence sends encrypted emails to the users of any other email services, making your communication really protected. A variety of email configuration options. Text messages and fax as a paid option. Import contacts from Gmail, Outlook, vCard, CSV file etc. Documents cloud storage and calendar. Send messages via the address used during the registration. Max attached file size: 10MB in the free plan, 50MB in Entry/Pro plan. Mailbox storage: 500MB in the free plan, 5GB in the Entry plan, and 20GB in the Pro plan. Location: All Mailfence servers are located in Belgium. Free without ads but with some limitations. 2,50€ per month in the Entry plan. 7,50€ per month in the Pro plan. Limited cloud storage in the free plan. Many security specialists consider ProtonMail to be the best secure email provider at the moment. Apart from protected messages, the platform provides flexible configuration and reliable protection from scammers. At the same time, it is very easy to subscribe and use the service. 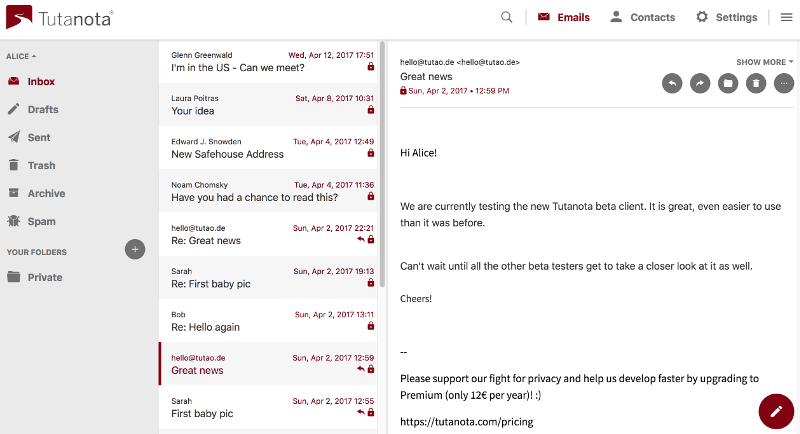 If you used any email providers such as Gmail or Outlook, it will be very easy to switch to ProtonMail. No one will be able to read your messages. End-to-end encryption by default for all the messages. Send encrypted messages to users of any email provider. Self-destructive messages with the configuration of the time period. A very convenient web interface with a lot of useful features. Android and iOS mobile apps. Max attached file size: 25 MB. Mailbox storage: 500 MB in the free plan, 5 to 20 GB in the paid plans. All servers are located in Switzerland. €48 to €288 per year. The more expensive the plan, the more features it provides. This is another web-based service providing highly reliable and absolutely protected email messaging. It offers the uses of a wide range of features and protects their emails using the latest security protocols. At the same time, this is an open source system, meaning that anyone from the huge community of developers can improve its protocols. The service offers two pricing options: the free one with limited features and storage, and the paid one with a lot of features and flexible configuration. The platform uses a reliable proprietary security protocol based on AES and RSA encryptions and does not store any deleted information. Works in any modern web browser. Free tariff plan with a set of necessary features. No limit of the number of messages per day. Own domain in the premium plan. Max attached file size: 25MB. All the servers are based in Germany. Posteo offers mid-level protection, security, and online privacy. Apart from the email service, the platform also provides a calendar and address book. Posteo completely relies on the community support and does not contain ads. The paid plans are really affordable for everyone. Calendar and address book synchronization. No ads on either the email account or the website. A wide range of payment options. The attached file size up to 50MB. Additional storage: €0.25 EUR per GB monthly. This service does not provide end-to-end encryption. The security level is not as high as the one provided by other competitors. Being an excellent open source encrypted email platform with servers located in Switzerland, Kolab Now focuses on the corporate segment and offers services for small and medium businesses. All the data is located on the Swiss servers and it really is protected from the government. You can be sure no one will get access to it. Also, the company does not offer end-to-end encryption and other features like some of the best on the market. Built-in app for taking notes. Individual account from CHF 4.41. Group account from CHF 5.38. Swiss location with the highest legislative protection. Full range of business tools. It is mainly a productivity app rather than an encrypted email platform. One of the most reliable platforms for encrypted email exchange, this service is based on the OpenPGP protocol with a 2048 bit encryption. It provides end-to-end encryption between two users so no one will be able to access and read your emails. Your correspondence will be absolutely safe. Thus, if the main thing you need is security, this is a great solution. A wide range of configurations. Does not track any personal data. High-level password protection through the password manager. Anonymous email headers and email filters. Available on almost any device. The basic storage is 250 megabytes. You can buy additional disk space. All the servers are located in Sweden. Optional USB key hard drive. The website has an outdated interface. Free plan limited to 7 days. 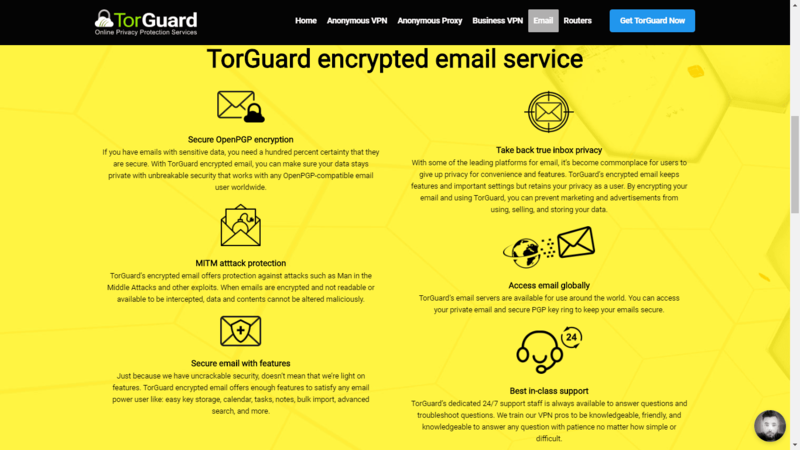 This encrypted email service from the USA focuses on individuals and business users and gives them the full range of services to protect their email communication. It works via the desktop and mobile web browsers and provides end-to-end encryption. You will not have to install any applications or clients. The company uses various security protocols to protect your email. With LuxSci, you will be able to protect your email from cybercriminals. As the business segment is their primary target category, the price plans are not so attractive as the ones from other competitors. Personal users will find the service too expensive. End-to-end encryption for every user. A bunch of security technologies and protocols. Attached file size up to 200MB. Storage from 1GB to 50GB, depending on the pricing plan. All the servers are located in the USA. A lot of plan offers from $10 monthly. Great pricing range for the corporate segment. For some users, the USA-based services are not a good option due to the country’s legislation. They really care about your privacy and you should give them a try. They also have a free plan you can use to test their service!